And now for something completely different! Comic to resume tomorrow, never fear. And remember, you can always see the whole series so far (in order from A) at the alphabet tag. This came out a bit patriotic as well, though mostly I wanted the red-and-white harlequin background to contrast well with the bright, primary blue of the letter. 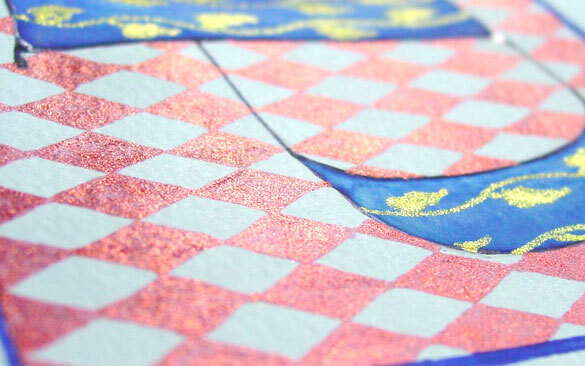 Gold glitter gel pen adds the yellow for all three primary colors, and since the red is glitter pen as well, the whole thing has a lovely sparkle. Perfect for a Patricia or Peter. 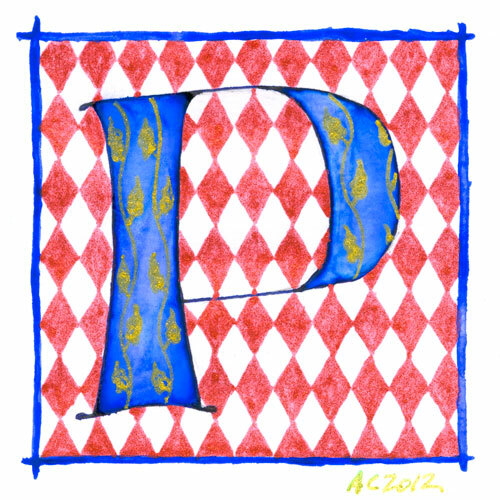 P is for Pattern & Primary, 5″x5″ Japanese watercolor, pen & pink and glitter gel pen on paper. Above, you can see the sun shining off the red diamond and gold vine patterns. 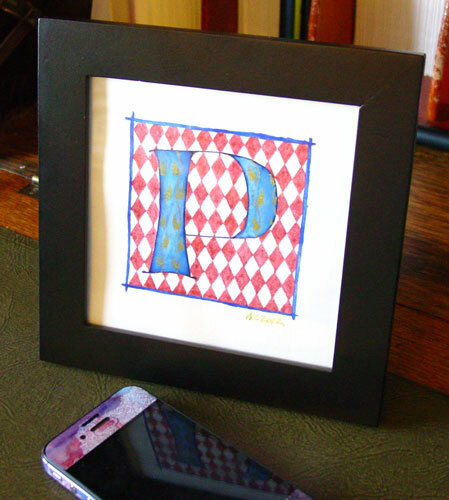 Below, the P is hanging out all by itself in its frame.